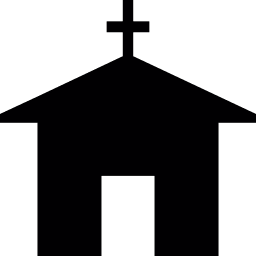 A United Kingdom-based clergy, Rev Wale Babatunde, has declared that the church should be held responsible for the decay in the society. This is even as he called on Christians in Nigeria to be the agents of the change they desire. Babatunde who is the founder of World Harvest Christian Center in the United Kingdom, made the declaration in Abuja, during the 2015 edition of a transformational summit organised by the church, where he also advised Nigerians to change their value systems in order to actualise the change mantra of the present government. Speaking on the theme: “The Role of the Church in Transforming Nigeria”, he emphasised the need for Christians to focus more on the poor as exemplified by the founder of Christianity. “If there is decay in the society, it is a problem of the church. Most of the revival meetings are not reviving the people. The presence of the church should bring about unmistakable change in Nigeria,” he noted. The clergy who quoted copiously from the book of Matthew Chapter 5 vs. 13, charged Christians to be the light and salt of the earth, observing that modern day Christians see the church as a solution centre rather an avenue to transform the society. He berated his fellow clergymen in the Pentecostal movement and described most men of God in Nigeria as “Nollywood stars” who are after modern-day fashion and accumulation of material wealth, even as he urged them to imbibe the spirit of sacrifice and simplicity as demonstrated by Jesus Christ. He commended Vice President, Prof. Yemi Osinbajo for his involvement in active politics and tasked other Christians not to isolate themselves from politics, saying that when a righteous man is on the throne, the people rejoice. He, however, frowned at the level in which the church imitate the world, rather than the world imitating the church, adding that the aim of the summit is to educate and inspire Nigerians on the role of the church. “As a matter of fact, we are here to educate and to inspire us on the role of the church in Nigeria. We also challenge the participants to get practical with faith because faith without work is dead,” he added.